You might recognize members of the Walker family from the show ring, but their hearts remain in Prairie Grove, Arkansas where they operate their cattle ranch, Willow Springs Cattle Company (WSCC). With a strong focus on faith and family, Eric and Linsay along with Mason (16), Whitney (15) and Catelyn (12) strive to raise nationally competitive cattle. Their select herd of 80 cows is dedicated to raising champions. Additionally, they utilize a pool of 600 head of recips from Willow Springs Ranch, which is owned by Eric’s parents, Larry & BeAnn Walker. Their operation also includes nearly 100 acres of row crops managed by the family to supplement the nutrition of their herd in the winter. As the Walker’s look toward the future, they plan to continue to grow their cattle operation around their foundation females. Their goal is to produce top end cattle for their customer base, while relying on their strong faith to guide them along the way. As the WSCC operation grows, the one thing that will always remain is their strong focus on family. The Walker’s run their operation as a family and they consider their partners and their customers a part of their family. They are striving to raise champions in the ring and in life. 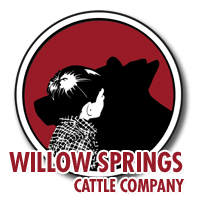 Willow Springs Cattle Co. | About Us from Paige Wallace on Vimeo.